by Nathan Windt, choral conductor and teacher. Nathan Windt: How would you describe your compositional style to those who may be unfamiliar with your music? NW: Your compositional output spans a wide variety of styles. 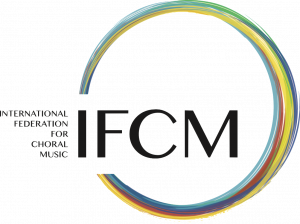 Do you find that your experiences in jazz and film music – what we might stereotypically consider “non-classical” styles – influence your choral compositions, or do you find your choral writing moves in different directions? IA: It’s clear that I have jazz and soundtrack influences, and while I never studied composition formally – that is not to be confused with studying composition; I studied very much, and I have plenty of scores by the great masters of the past – but, I think composers should find a new way of writing, and of course, the way I write for choir is different from the way I write for piano. In every new piece that I compose, I try to find a new energy for each. If you listen to my “Ave Maris Stella” or “Lux Aeterna,” they are very different pieces. I try to do different things with each piece – not better, just different. Every new piece is a plunge into the unknown, like a child playing with new toys. That’s why I never get tired of writing. NW: Do you have any composers who particularly influence your compositions? IA: I think that Johann Sebastian Bach is my first influence; the counterpoint is simply fantastic. Beethoven has energy and rhythm; Mozart’s melodic inventiveness is beautiful; Chopin and Tchaikovsky are emotional; and Ravel, for the orchestration: these are my great masters. One thing that I don’t do is to copy what other contemporary composers do. I think I have my own style and way of expressing music. I’m not a full-time composer, either: I’m a “pajama composer,” because my composing is only from 5:30 in the morning until 7:00 in the morning, so I can stay alone in silence, completely in the dark, if possible, and this is the only way I can try to find inspiration. NW: Your biography mentions an informal but important meeting in 2006. Could you tell us more about this? IA: It was fantastic. The conductor of the choir Coro Calicantus is Mario Fontana. He was a piano student of mine. He always told me, “Ivo, you have to come see a concert.” I never went to see a concert. I even told him I didn’t really like choral music, because I was naïve, and had never gone to a choir concert. He insisted so much, I finally decided to go, even though I didn’t really want to. When the choir began to sing, I was really captured. My wife looked at me and told me that I had to compose choral music in the future, and she was right! I told the conductor how wonderful the concert was, and that I would go home and write a piece for his choir that very evening. So, I wrote my first piece for them overnight. I went to the premiere of the piece, and normally, as a composer, my expectations for a premiere are a bit lower, perhaps fifty percent, so not very satisfied. But with this concert, it was one hundred and twenty percent. It’s a very special choir, absolutely moving when you attend one of their concerts. NW: Your choral writing varies from two-part music to more complex textures. Do you write your pieces with an ideal choir in mind? IA: It depends on the piece. If it’s a piece like my “O Magnum Mysterium,” I would say any parish choir could sing this. “Lux Aeterna,” or “I Am the Rose of Sharon,” can be sung by a professional or university choir, but the most important thing is the conductor. The conductor must know the music really well; a chord with six different notes, eight voices, he or she must be able to say, “Sopranos, not so loud; basses, more.” This is the problem. Sometimes it’s difficult to manage and work the chords in my music, but the conductor must be professional, not necessarily the choir. NW: You mention “O Magnum Mysterium,” one of your best known compositions. In your notes to the piece, you write, “I had intended this piece to stay in the drawer until the following Christmas.” What do you mean by this? IA: It was a really easy piece, very different from the other pieces that I had previously published, so I didn’t think the publishers would be interested in it. But when I put the performance on YouTube, many publishers wrote to me, saying they wanted to publish the piece. Then I understood not only that the piece was easy, but also that it was much more difficult to compose an “easy” piece which is also interesting and one that can be challenging for a professional choir. I really didn’t think anyone would be interested in this piece. NW: Another unique quality in your music is your frequent use of “spoken word,” such as in “Ave Maria,” as well as other devices like whistling in “There will come soft rains.” Is there any particular reason for this, other than variety in vocal timbre? IA: As I told you before, I am always trying new ways of composing, like a child playing with a new toy. This was a “toy” that I used about four years ago with my choral music; now I’m using other “toys” in my music. It was a way to characterize my music in that particular moment. Now I use other systems. I don’t say that I regret having done that; it’s just that now I’m trying other ways. NW: Your output demonstrates a clear variety in setting sacred and secular texts, and even within those, a variety of styles. Is there any particular text “type” that resonates with you? What do you look for when finding a text to set to music? IA: First of all, it must sound good to my ears. I speak Italian, so it must be attractive by the sound of the words. That’s why I love to work with old Latin texts. Of course, it must tell me something in which I believe, otherwise there’s no sense in writing music to it. I like to set texts in English, also, because it has a greater chance to be performed internationally. As an international composer, I want to compose a piece that can be performed anywhere. I have a special folder on my computer where I have many, many texts that I want to set to music in the future; if I had the chance, I would work until I was 200 years old! NW: Do you have a favorite piece of yours that you have composed? IA: I never thought about that! I think I can choose three pieces; I would choose “Lux Aeterna” for sure; the piece is dedicated to my parents, who are still living and listening to my music every day. I would also choose “O Magnum Mysterium,” as an easy piece, but also a very good one. About every week, I have someone writing to me, telling me how much he or she enjoys performing this piece. The other piece would be “There Would Come Soft Rains,” as the piece has a lot of everything. The first time I read this text I was fifteen years old; I read the poem in Italian, and I found again the text years later and thought it would be fantastic to set to music. I also love a piece I wrote for Coro Calicantus, “Wah-Bah-Dah-Bah-Doo-Bee,” it was dedicated to a very good friend and student who died seven years ago, very young. Of course, this list may change. I will go to a world premiere in one month with the Trinity College Choir of Cambridge, conducted by Stephen Layton, and perhaps I will change my mind. 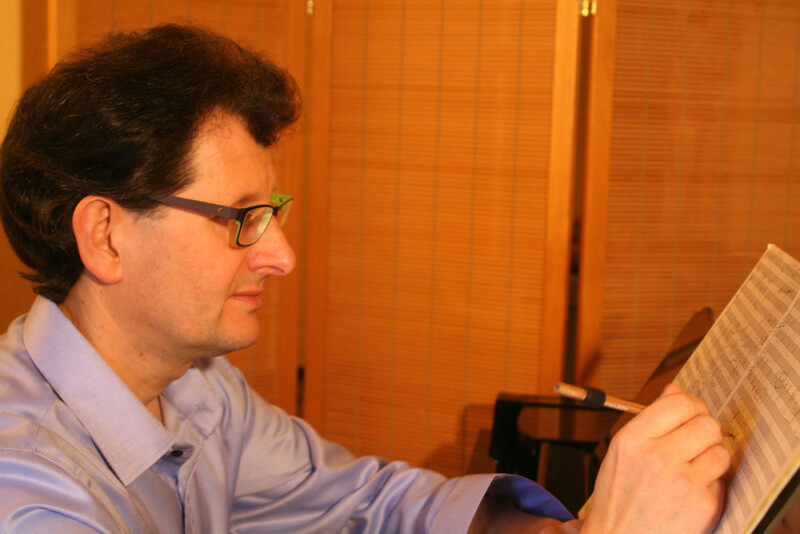 Ivo Antognini is currently a professor at the Conservatorio della Svizzera Italiana, University of Music, in Lugano, Switzerland. DCINY is working with an international cast of choirs to produce a concert of Antognini’s music at Lincoln Center, in New York City, on March 22, 2016. To audition, please contact Jason Mlynek at Jason@dciny.org. For more information about Ivo’s music, please visit his website, http://www.ivoantognini.com.